Ohio State University experts -- including from CFAES and its outreach and research arms, OSU Extension and OARDC -- have begun focusing their expertise on the shale energy industry in Ohio. With the industry growing at a rapid pace in Ohio and around the country, Ohio State aims to produce research that can help inform policymakers, industry leaders and the public. The university formed a research cluster with a $50,000 seed grant from the university's Environmental Sciences Network in October 2012. The team, the Shale Environmental Management Research Cluster, has attracted about 30 Ohio State faculty members from four colleges across the campus: CFAES, the College of Engineering, the College of Public Health, and the College of Arts and Sciences. The Shale Environmental Management Research Cluster includes some 30 Ohio State faculty members from four colleges, including CFAES. The group also includes researchers from the University of Toledo's Department of Chemical and Environmental Engineering and several representatives from the U.S. Geological Survey's Ohio Water Science Center and is partnering with faculty from West Virginia University under a new shale energy partnership. 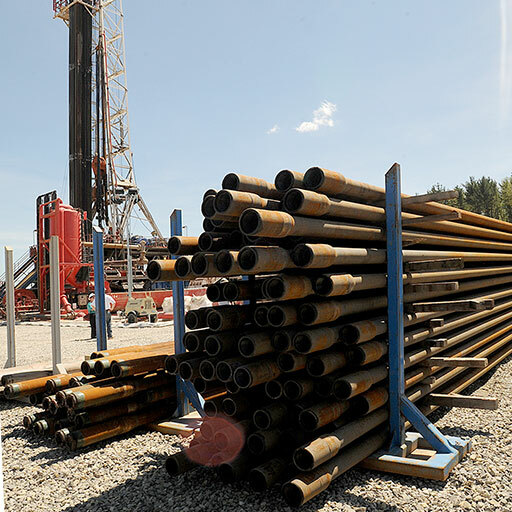 All of the Ohio State faculty in the research cluster are also part of the university'sSubsurface Energy Resource Center (SERC), established in 2011 to provide research and policy guidance in the shale arena. The center now has more than 80 affiliated researchers who provide foundational expertise and integrate research efforts across campus to answer important shale-related concerns. "The shale energy industry is moving very quickly, and there’s not really much science behind what's happening and what impact it can have, good or bad," said Zuzana Bohrerova, coordinator of the team and research specialist and associate director of Ohio State's Ohio Water Resources Center.